In 1887 and 1897, Stanley Brothers designed a special plaque to commemorate the milestone years on the throne for Queen Victoria. Houses built using Stanley Brothers bricks had the chance to have one of these terracotta commemorative plaques. I have spotted a handful myself while working in Staffordshire, Warwickshire and now Leicestershire. They have been seen as far south as Great Yarmouth and London. Locally in Atherstone (left), Witherley (below) and Rugeley (below right). So far I have only found 1897 plaques. The Leicester Historian quoted that 51 plaques have been spotted, 47 from 1897 and 4 1887. As you can guess the earlier ones are very rare. The first one I found was in Atherstone known as "Primrose" Cottage, the house was actually built in 1896, but must have ran through into Queen Victoria's year. As you can see from the picture below, the house plaque has the two dates along with some ornate brickwork commonly used by builders. In the Stanley Bros catalogue, on page 37 (below left), you'll find the Queen Victoria Jubilee Plaque priced at 20/0 each. It also had extra's, you could add the date scroll for 5/0 (see below right) or as a few have done add paneling, which I think gives it so much more in size and appearance. 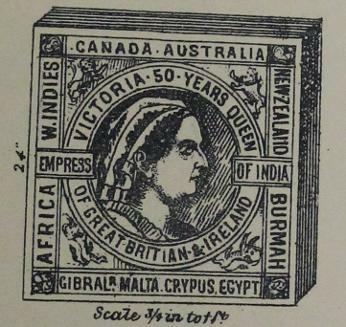 The plaques show Queen Victoria facing to the right instead of the usual left as seen on stamps and coins. On closer inspection the detail of this piece is quite remarkable. Her neck and ears are bare of jewellery, with just the ruffle of her dress shown. On the inner circle lions proudly protect the sovereign and in each four outer corners is the royal crown. At the time the owners of the houses had the choice of having the plaque built into the wall with the date scroll over the top or for an additional charge a terracotta mould to enhance the plaque could be added (see right or without Primrose Cottage above). Around the Midlands I have spotted some more of Stanley's work. This time Leicester is the venue for more of the plaques. The one below was in Francis Street and the second in St Saviour Road, both in area's of town, you would expect plaques like these to be seen now, I'm sure at the time when they were built they where in an affluent area. Leicester seems to be a hotbed of Stanley Jubilee Plaques. Luckily I managed to come across this one while searching for Broadbent Limited, the original family who bought a Nuneaton brickyard with Reginald's brother Jacob. 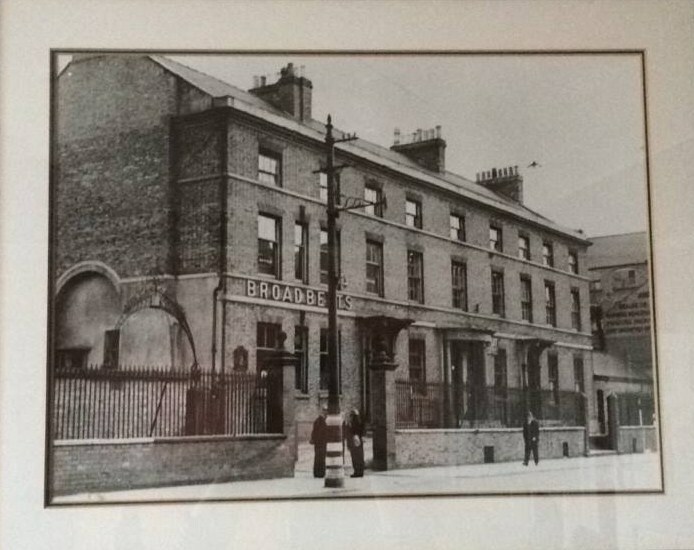 This plaque is located on the front of the offices at Broadbent's, now known as Bray & Bray Solicitors. They had a photo in the boardroom which they kindly let me use below, you can just see the plaque on the left corner of the building. 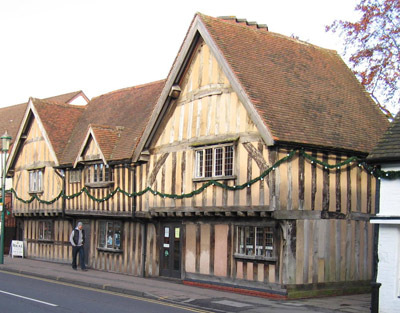 There are some really nice houses in Knowle and just a few hundred yards down the road is the local library, which is situated in an old Tudor house. 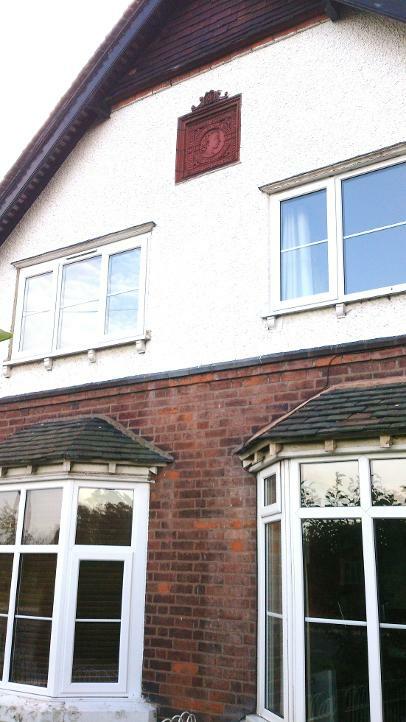 The property was once two houses which were converted back into one in the 1970's by Solihull Borough Council. We have a new addition to the page (March 2016). I was told about this house by a 'friend' of Reginald on Facebook a while ago and I've managed to get a trip out to see it in person. 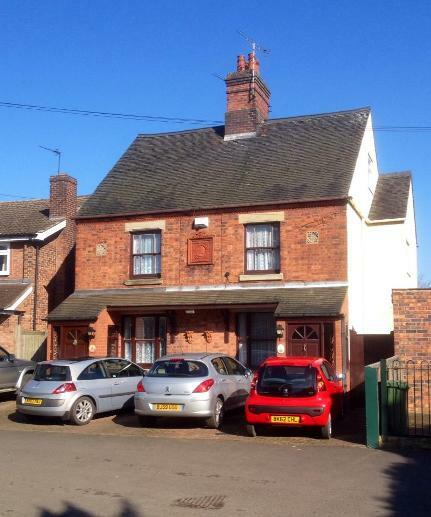 The lovely double fronted property is called Jubilee House on Kenilworth Road, Knowle. The first homeowners had the added extra boarder and date scroll around the plaque and it really makes it stand out from the other houses on this row. There are some really nice houses in Knowle and just a few hundred yards down the road is the local library, which is situated in an old Tudor house. I set off on a road trip in June 2016, with the intention of finding more of these plaques. The journey was a success and below, you'll see I managed to find a handful. First up was the lovely village Witney in Oxfordshire, tucked away down a tight single track road was the Church of St Mary's, Cogges. I was told it would be in the lychgate of the Church and as I approached the gate I saw the plaque in an unusual place but for me a brilliant chance to see it up close. The detail is amazing and to be able to stand and have a good look at it was excellent. One thing I noticed is the 6 in the 'Victoria 60 years Queen' shows that the original casting was brought out of storage from ten years earlier for the 1897 plaque. It sits slightly pronounced to the other lettering if you look closely. As my journey reached Southampton, I set about finding the numerous plaques I had read about in the area. First up was Portswood. Surprisingly these now shops and the above flats have two plaques next door to each other, 484 and 486 Portswood Road. In my imagination I see these two being large upper class houses over looking the River Itchen, the a-joined building wasn't built till 1922 as the plaque shows, so possibly was a quiet part of Portswood in the 1890's. Note the elaborate white plaster work in the gables with quite possibly the owners initials. Just below the two queen Victoria plaques are added between bedroom windows, slightly hidden by the ornate patterns above, but still a fitting sign of loyalty to the queen. A 2.2 mile journey to the next location, this time on a house in Northland Road on what feels like a more secluded and tree lined road. You could easily miss this one if you didn't know where it was located, due to the position of not just the house, but the plaque too. It is also the first one I have seen that is marked with the 1887, the 50 year celebration. I knocked on the door of the flat to get a better photo, unfortunately they were away for the day a neighbour told me. 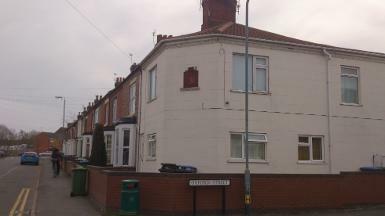 Reading up on the location it was one of about five houses mentioned in the Kelly's directory of 1897 census and Hugh Kirkpatrick Grierson was the resident at that time a solicitor with Page and Grierson, at 29 Portland Road. I was also wondering if the empty brick frame on the side of the house was the intended location for the plaque. The final plaque that I managed to see while away was a little further down the coast, this time Fareham and the main street in the town centre. I was running out of light and the location of the plaque was a mystery to me on arrival. I looked up and down West Street with no joy and with the nights revellers now wondering why I was clutching a camera at 9.30 at night. As I was about to give up when I spotted something and trundled over. You can see above that the plaque was up very high on the side of the shop wall. It look as though its position at the time of erection must have been ideal, it is set in its own large surround and someone has added a light (could have done with it being on), it was easy to miss. For nearly three years, I had been under the impression that Nuneaton hadn't/didn't have one of these plaques, I always found it strange to think that Stanley Bros couldn't sell one of these plaques to a home or business in the town. Well thanks to Nuneaton Memories and the Nuneaton News archive this fantastic picture below has appeared. Its not the clearest photograph but this was the Nuneaton Observer printworks on Bondgate, Reginald Stanley was the Chairman so I'm guessing he had something to do with it. The search is now on to find out if there were any other plaques in the area that were lost to regeneration.